I’ve just finished reading Lullaby and I honestly couldn’t put it down. The book is super tense, written in an unusual style (you know what happens in the first few pages; the narrative then goes back to explain how it all happened.) Even though the characters are all horrible people, you get completely drawn into their lives and I spent the whole book trying to psychologically profile them and even apportioning blame (which is a terrible, judgemental thing to do, even to fictional characters). I loved the different cultural norms that were explored, especially in relation to race and social status and I think that perspective could have only been written so sensitively by an author of colour. I listened to a podcast where this book was being discussed and one of the contributors said that she had to DNF Lullaby because it hit too close to home. I can completely understand that – the book is an exploration of imperfect family life, guilt about not being a good enough mother and having the worst thing that can happen to you actually happen, so it obviously hits quite a lot of sensitive areas. 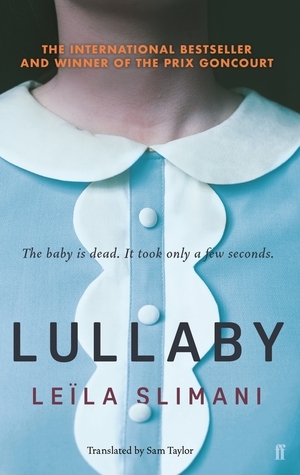 Despite this, I thoroughly enjoyed reading Lullaby and would recommend it to anyone looking for a fast paced domestic thriller. Have you read Lullaby? Do you have any bookish plans for Black History month?Let me know in the comments! *I’ve taken “black author” to include mixed race people so while I’m not entirely sure of Leila Slimani’s heritage, she gets included in a lot of articles about people of colour so I’d say she counts for the purposes of this post. Interesting choice. I have never heard of this one, but I may have to give it a read! Good post! I’ve seen this book around. I’m unlikely to read it but appreciate your review. Agreed, I say it counts! I’ve never even heard of this one before, but it sounds completely fascinating. You’re definitely selling me on this! It sounds like it deals with important issues as well!